When you create a new database in 1C: Enterprise administrator, usually the question arises: is it possible to fill in the directory Item programmatically from a table document without having to fill manually? Consider the easiest way of solving the problem. Open a tabular data file such as Excel or *.mxl. It should contain at least the names of the dictionary elements. If there is some other information, e.g., item and unit of measurement, it is also possible to load. For example, in our document 3 columns: name, full name and number. All items are goods and not service and are measured in pieces. Processing to download can be found on the disk its. 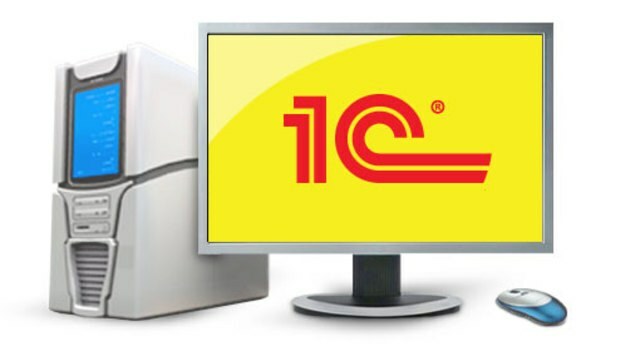 Startup disk, go to the section Technological support, select 1C: Enterprise 8. Further reports and processing -> Load data from a table document -> the Description and installation of external processing "Loading data from a table document". Click the link "Copy" and save the processing in the selected folder. In our database received open treatment. In the "download Mode" the default is "Download to directory". In the "dictionary" set "Nomenclature". Then click the "Open file...". 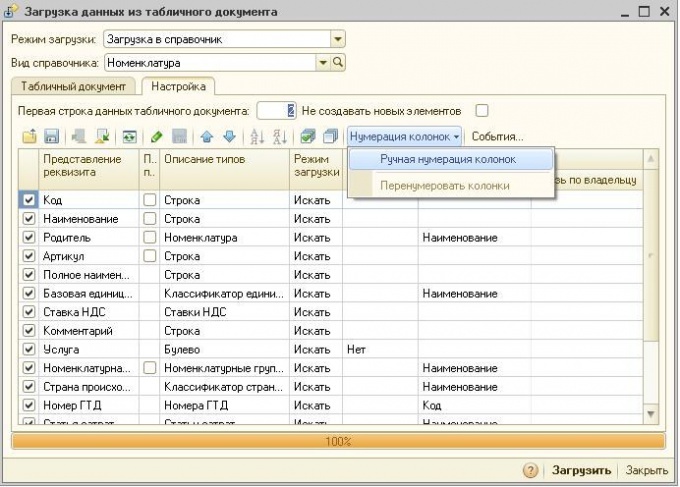 In the opened window, find the table document and select it. Information from the file are displayed in a tabular part of the treatment. Go to the tab "settings". In the "First row of data table of the document" set to 1 if in our document there is no cap, or 2 if the hat features a and data starts from second row. Further, in paragraph "Numbering column" select "Manual numbering"columns. Remove all the check boxes using the buttons to the left of the Numbering of columns. Set the check boxes in the rows "Name", "Full name" and "article", download mode, leave the "Search", columns, respectively set numbers of columns in the tabular document. In our case it's 1, 2 and 3. If we load the items in the folder, put a check mark in the row "Parent", the boot mode, select "Install" and in the column "default Value" select the desired group of the directory. And finally, choose the units and the VAT rate, otherwise you'll have to set them manually for each dictionary element. Select the check boxes in the rows of the "base unit of measure" and "VAT" boot mode "Set" in the field "default Value" - "piece" and "18%", respectively. After the setup is complete go back for the tab "Table document" and click "Control cycle". If no error is detected, click "Upload". The download is complete. Before loading the data backup.